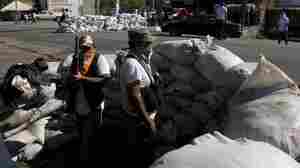 January 31, 2014  The Mexican government has a new plan to control heavily armed vigilante groups fighting back against drug cartels. The government announced this week it is making the militias a legitimate part of the country's security forces and will allow them to help police the countryside. 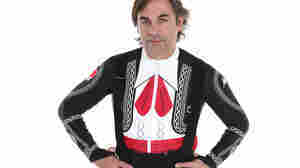 January 30, 2014  Hubertus Von Hohenlohe will be the only skier representing Mexico in the Winter Olympics in Russia. A German prince and one of the oldest athletes to be competing in the Winter Olympics, Hohenlohe says he doesn't expect to win any medals. But he does hope people will notice his flair for fashion. January 29, 2014  Steve Inskeep talks to Carol Rosenberg of the Miami Herald about the parole hearing of an alleged bodyguard for Osama bin Laden. Abdul Malik Wahab al Rahabi, 34, was one of the first detainees at the Guantanamo Bay prison camp in Cuba. January 28, 2014  Mexican authorities have arrested one of the top drug cartel leaders in the western state of Michoacan. Federal forces recently moved into the state to disarm civilian vigilantes who have been fighting to reclaim their communities from the cartel. January 23, 2014  Texas has executed a Mexican national for killing a Houston police officer in 1994. Mexico opposes the death penalty and the execution revived a long-running diplomatic row between the United States and Mexico. January 22, 2014  The self-defense groups that have emerged in the western Mexican state of Michoacan are on the public relations offensive. They've been posting videos on Twitter and Facebook condemning the Knights Templar drug traffickers and exalting their own crusade to expel the cartel from their towns and businesses. Meanwhile, federal officials don't seem to know how many of these vigilantes there are and have halted efforts to disarm them. January 22, 2014  Many Latino immigrants come to the U.S. in search of a better life — and most of them find one, according to a new poll. Guest host Celeste Headlee talks about the findings with Robert Blendon of the Harvard School of Public Health and Rey Junco of Purdue University. January 19, 2014  For the third consecutive year, one section of the U.S.-Mexico border had a higher rate of illegal crossing than any other — the Rio Grande Valley. It's the closest crossing for Central Americans fleeing violence at home, but for them, the U.S. crossing is just the last, deadly portion of the trip. January 18, 2014  Federal forces are backing away from a plan to disarm the civilian militias that are defending their communities from ruthless drug traffickers. In the western state of Michoacan, it's unclear how long the fragile peace will last. January 17, 2014  Venezuela is running out of newsprint and newspapers are shutting down. Media outlets say that it's another form of harassment by a government that often doesn't like what independent media reports. January 17, 2014  Alabama-based Drummond Co. has been fined $3.6 million in Colombia for polluting beaches and dumping coal into the ocean. Drummond reflects the wider dilemma facing the Colombian government when it comes to mining. 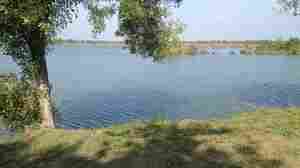 It is promoting foreign investment but environmental controls are lax, leading to contaminated rivers, mercury poisoning and deforestation.